Fill Your Home on a Budget - Fujidenzo Warehouse Sale is Back! 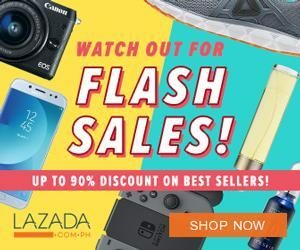 Fill Your Home on a Budget – Fujidenzo Warehouse Sale is Back! Fujidenzo Warehouse Sale features quality home appliances available on great discounts! To all dads and moms who are planning to buy new appliances. Or to the bachelors and bachelorettes who recently moved to a home. 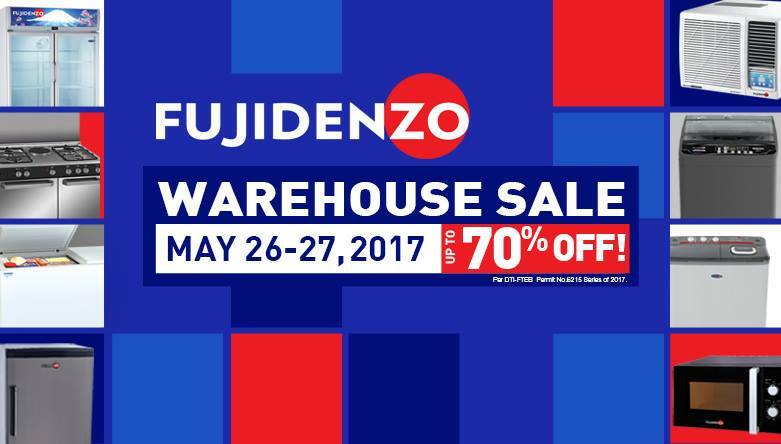 Fujidenzo Appliances is officially bringing back their Warehouse Sale on May 26-27, 2017 from 10:00 AM to 5:00 PM. Enjoy up to 70% OFF on premium Fujidenzo products such as chest freezers, chillers, refrigerators, air conditioners, washing machines and more. The 2-day event will take place in their Quezon City Warehouse located at #87 Kapiligan St., Brgy. Dona Imelda, Quezon City. 1. The organizer will strictly implement “FIRST COME, FIRST SERVED” policy due to limited space. 2. Queue numbers will be issued starting at 7:30 AM at the gate. 2. Entrance to the sale will be done per batch. Feel free to call them at (02) 230-1555 if you have any inquiries on the Warehouse Sale. Or visit their official Facebook Page.